We have designed the perfect mobile portrait studio for galas, weddings and events. Equipped with professional lighting and top of the line print station, we create the perfect photograph every time. Our minimalist set-up has the look and feel of a high end studio but functions like a photo booth. Best of all? It looks great in any space. Our Lavish Guests was started by Calgary photo booth owners and professional wedding photographers. 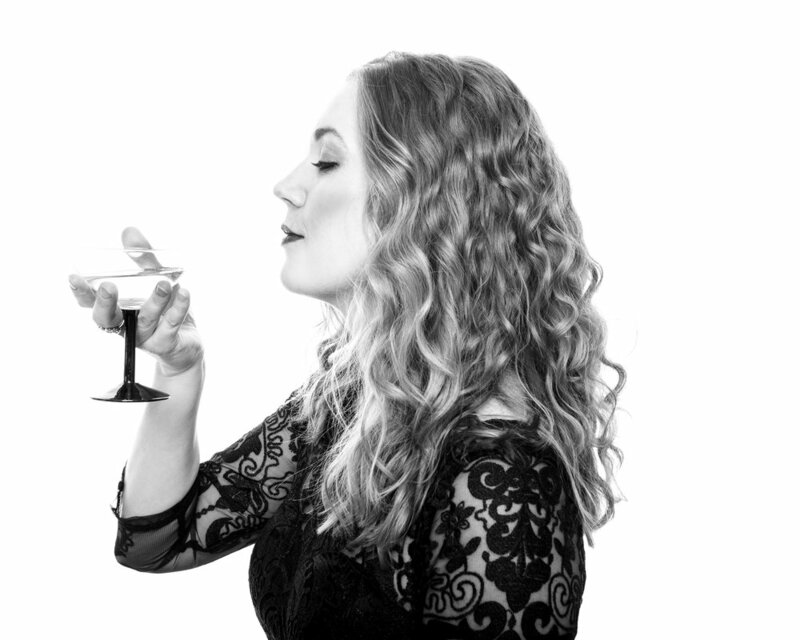 We wanted to create beautifully classic black and white portraits at weddings and events. At weddings, we had the privilege of photographing brides and grooms on the happiest day of their lives. We witnessed them surrounded by their closest friends and loved ones but we rarely had the time to give their wedding guests the attention they deserved. With this in mind, we designed a photo booth that had the qualities of a professional portrait studio. Our photo booth features professional lighting and direction and a flattering black and white edit, giving your guests an incredible, personalized experience. Our sole focus is making sure your guests leave with a piece of art they can hang on their walls. In our eyes, there's nothing like an elegant black and white portrait. With this service, you can give the gift of a timeless photograph to everyone who attended your event. Our Lavish Guests was one of the best things I did at my wedding. It was totally the best keepsake for our wedding guests. Immediately following the event, almost all the wedding attendees were posting their portraits on Social Media. Our Lavish Guests were totally professional and made all the guests feel comfortable and provided wonderful direction for the best photos! The guestbook album is an 8x11 heirloom album with all the features of the coffee table book PLUS digitized handwritten messages from your guests. We ask your guests to leave a message for your guestbook on the back of a duplicate copy of their portrait. Those messages are then digitized and designed into the album accompanying their portrait. The end result is a timeless guestbook without any glued or taped images that you’ll be proud to show off for years to come. 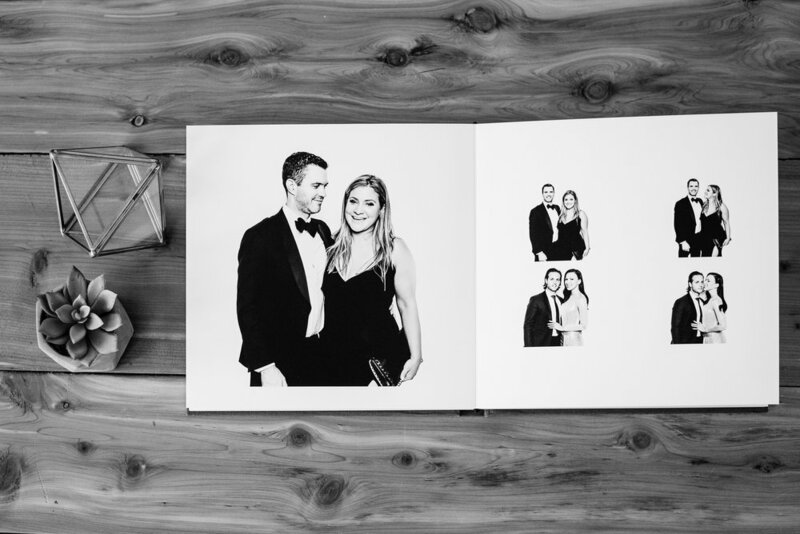 A custom designed 10x10 heirloom album showcasing the best of your collection of portraits. The coffee table book features thick lay flat pages printed on photographic paper. Available in your choice of linen or leather, with each page featuring beautiful portraits of your guests. The coffee table book also features your names and or date embossed on the cover. We take care of the initial design, then work with your input to make sure the book showcases your favourite images. We specialize in simple, timeless & classic black and white portraiture worthy of being framed and displayed in your home. We are the only service of this kind in Alberta. If you are looking for something different for your event, this is it. Booking your luxury Calgary black and white photo booth today.